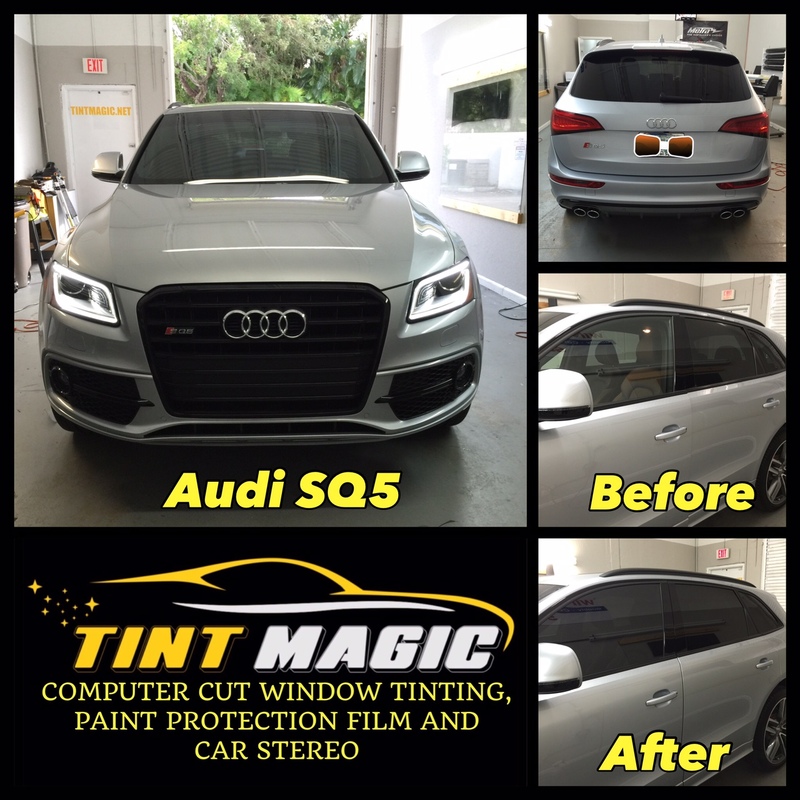 Audi SQ5 at Tint Magic Window Tinting Coral Springs. 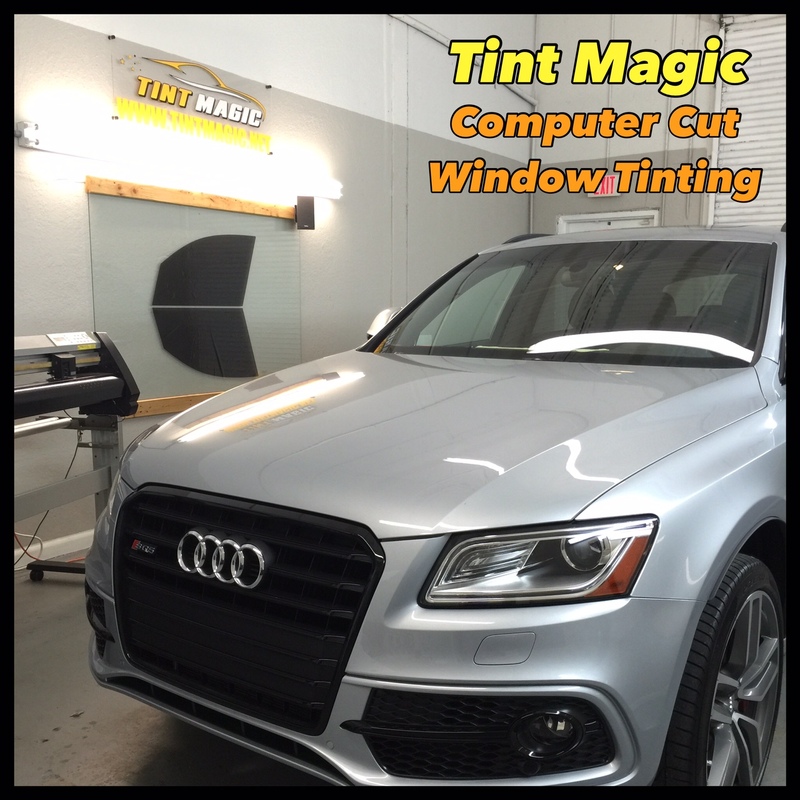 We have applied 25% Carbon CXP window tint over 2 front windows for the best match with the rear windows. Call us for a free estimate! (954) 840-7883. With a supercharged V-6 making 354 hp and 346 lb-ft of torque, the SQ5 is one fire-breathing bahn burner. Audi’s Quattro all-wheel-drive system sends that power to the road via a quick-shifting eight-speed transmission. Its exterior styling features unique fascias, matte silver trim, and 20-inch wheels, while the cabin is enhanced with leather-and-Alcantara sport seats and snazzier trim. Add to that a tuned suspension and responsive steering and it’s no surprise that we like the SQ5 so much.